Courtesy of mig.me (a local Social Network that making a buzz in the region), managed to catch the premiere of the upcoming martial art movie : Kungfu Jungle (一个人的武林) last night. To be frank, if not because of this invitation, I will give this movie a miss (even though I am a movie buff) in view of the last few poor outings by Donnie Yen. To my utter surprise, I enjoyed this movie very much. It is a true Kungfu movie at its core. Besides the powerful and beautifully chereographed fighting scenes (and there are quite a number of them), the suspenseful plot (brewing between the two key characters) also increase the entertainment value of the movie. To top it off, some of the famous old-timer kungfu movie stars are making their cameo in the movie which is cool (sort of a tribute to their contribution to the kungfu movies in the past). So, do stay back after the end of the movie as each of them will be individually introduced during the ending-credit scene. If you are "old" enough, I am sure you will recognise some of them. In fact, same lessons applied to investing too i.e. when we are picking the stocks. Don't you think so? Based on your experience, can you share one or two stocks that fit the above two elements? 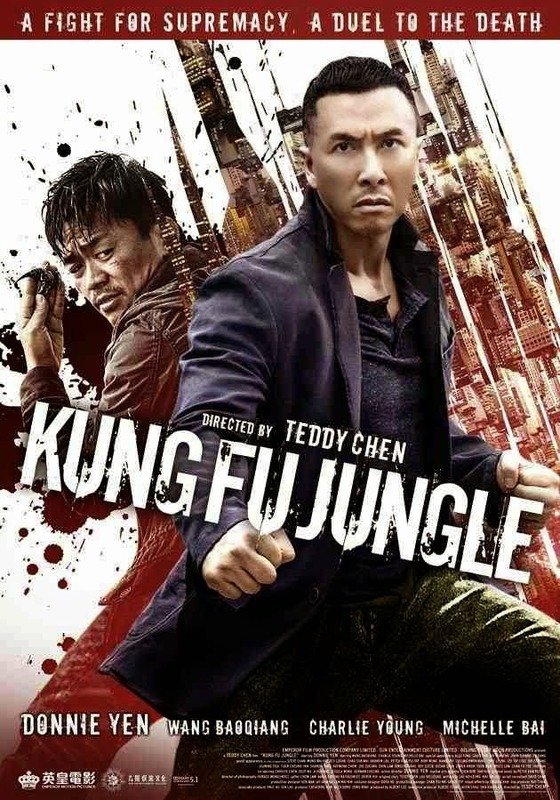 I know some of the personal finance bloggers (you know who you are) here have keen interest in martial art, Kungfu Jungle is highly recommended. Directed by Teddy Chan and starring Donnie Yen (the famous martial art actor from Hong Kong), Wang Bao Qiang (China) and Bai Bing (China). Short synopsis : A martial arts instructor from the police force gets imprisoned after killing a man by accident. But when a vicious killer starts targeting martial arts masters, the instructor offers to help the police in return for his freedom. Very powerful 內功. Injured also can use his/her own 內功 to do self healing. Sometime, can use own 內功 to heal others too. Go see in the movies? Hi Richard! Just dropping by to say hi since i am new to the financial blogging scene. Anyway, i always thought donnie yen is a sure win after ip man.. For investing, FA and TA are both based on historical trends and analysis so a turnaround is pretty hard to notice! Quick. Get an interview. Something Richard waited long. LOL! Thanks guys.. you all make me laugh! Haha.